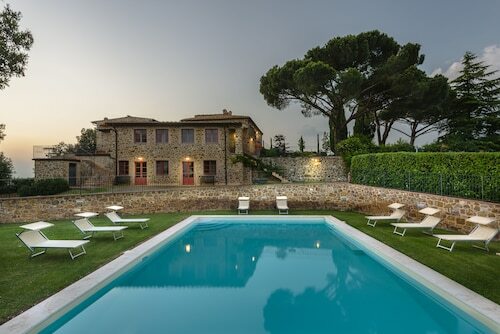 Situated in Scansano, this farm stay is within 12 mi (20 km) of Piazza del Castello di Montemerano, Terme di Saturnia, and Art History Library of Montemerano. Cascate del Mulino and San Bruzio Monastery are also within 12 mi (20 km). 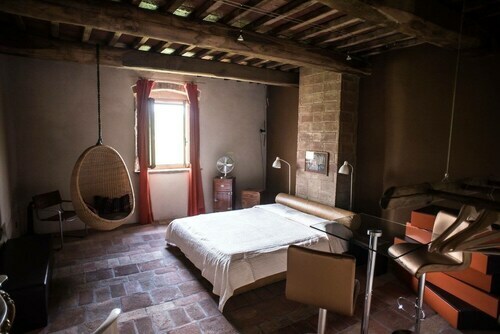 Situated in Scansano, this farm stay is within 16 mi (25 km) of Tino di Moscona, Court of Grosseto, and Bastione Fortezza. Piazza della Vasca and Piazza del Popolo are also within 16 mi (25 km). Situated in Scansano, this bed & breakfast is within 16 mi (25 km) of San Bruzio Monastery, Piazza del Castello di Montemerano, and Art History Library of Montemerano. Terme di Saturnia and Cascate del Mulino are also within 20 mi (32 km). Located in a rural location, this family-friendly hotel is 11.6 mi (18.7 km) from Piazza del Castello di Montemerano and 11.7 mi (18.8 km) from Art History Library of Montemerano. Cascate del Mulino and Necropoli del Puntone are also within 16 mi (25 km). How Much is a Hotel Room in Scansano? Hotels in Scansano start at $64 per night. Prices and availability subject to change. Additional terms may apply. There isn't a big range of places to rest and relax on Travelocity that are less than 6 miles (10 kilometers) from Scansano's heart. Be sure to book well in advance if you want to stay close to Scansano's action. The Hotel Resort Antico Casale di Scansano is up there with the best-located Travelocity-listed rooms, one of just a handful of options that are within walking distance of the Scansano town center. The Castello Banfi - Il Borgo can be found about 19 miles (30 kilometers) from the heart of Scansano. Or, alternatively, the Castello Di Vicarello is located 12 miles (20 kilometers) away. 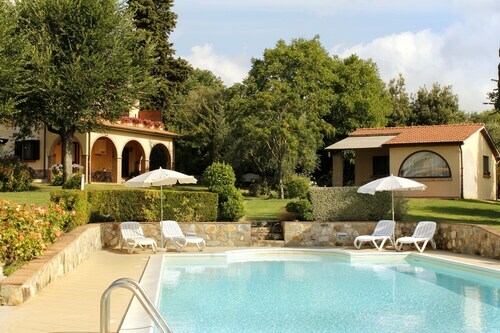 The Terme di Saturnia Spa & Golf Resort as well as the Resort Locanda Rossa are two other Travelocity-listed accommodation options worth looking into in Scansano. While you are here in Scansano, ensure you allow time to check out Tuscany's other cultural and scenic delights. Tuscany is well known for its rural landscapes, beaches and coastal plains. Popular vacation draws include ruins, castles and traditional villages. In this area of Italy adventurous visitors might also partake in snowboarding, skiing and snow shoeing. Pitigliano is 17 miles (27 kilometers) southeast of Scansano and is home to Duomo di Pitigliano and Pitigliano Civic Archaeological Museum of Etruscan Civilization. The Sovana Hotel & Resort and Etruscan House are just some examples of the apartment and hotel choices in Pitigliano. 30 miles (48 kilometers) to the northwest of Scansano, you'll find Scarlino, which features the Resort Baia Scarlino and Relais Vedetta. While visiting Scarlino, set aside some time to visit the Castello di Scarlino and Cala Violina. Prior to departing from Grosseto, ensure you are able to watch a thrilling game. Stop by Stadio Artemio Franchi - Montepaschi Arena, found north of Scansano. Find accommodation not far from the action at the Grand Hotel Continental Siena – Starhotels Collezione or the Hotel Certosa Di Maggiano. Peretola Airport is a convenient airport, and is found 75 miles (122 kilometers) from Scansano. 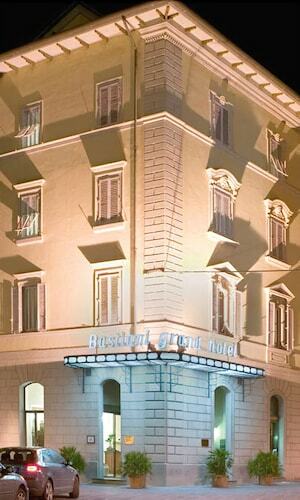 Travelocity-listed accommodation nearby are The St. Regis Florence and The Westin Excelsior, Florence. Discover Tuscany! Swimming Pool, Breathtaking View, Relax, Wine, Good Mood!